The Duggar family, featured on TLC’s hit reality TV show 19 Kids and Counting, has started a new partnership with the fastest growing Bible translation organization in the world. The Seed Company, founded by Wycliffe Bible Translators, announced Wednesday the partnership with the family, in which they will work together to teach families and children the story of the Bible with the goal of spreading God’s word around the world. “We feel extremely blessed to partner with the Duggar family in our shared mission of spreading God’s word,” says Roy Peterson, president and CEO of The Seed Company. As part of the partnership, the Duggar family’s website includes a callout to The Seed Company’s KidsDiscover program. “Becoming a recommended resource on the Duggar’s new website is a great opportunity, as we strive to reach a larger audience with our KidsDiscover program to help more families and children connect with the Scriptures while also providing them with an opportunity to support the Great Commission,” Peterson says. This interactive and educational program, designed to engage children in God’s word by bringing families together to experience the Bible through storytelling, is a segment of The Seed Comany’s OneVerse ministry. KidsDiscover offers two free 10-week programs—one for the Old Testament and one for the New Testament—to take participants on a journey from creation to the early church. After each weekly Bible story children can evaluate their progress with vocabulary builders, challenge questions, fun games, downloadable worksheets, team activities and more. 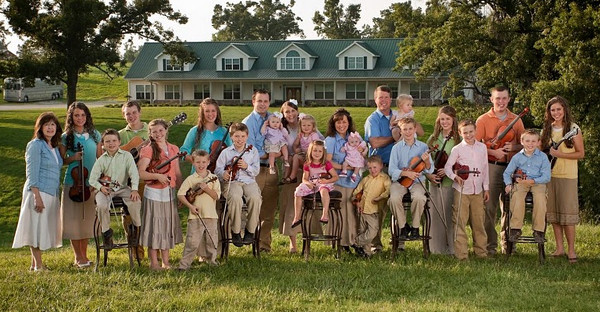 “As a parent, one of the most powerful tips we can provide other families is to teach their children to love God with all of their heart, soul, mind and strength and to memorize His word as a family,” says Jim Bob Duggar, father of 19. The program combines education with a missional component by teaching families about the more than 2,000 people groups, or 340 million people, still living without the Scriptures in their heart language. Through the program, families will have the ability to share God’s word with these people groups and help His story come alive in their mother tongue. The Duggar’s website will also launch MakaziVille, an interactive online game challenging children to build a village in Tanzania, this fall. The game will educate children about the sometimes harsh realities that other parts of the world face while challenging them to overcome social, religious, environmental and economical obstacles. Posted on June 22, 2011, in Books, Christan, Family, News, Religious and tagged 19 Kids and Counting, Bible, Christan, Duggers', God, Kids discover, TLC. Bookmark the permalink. Leave a comment.